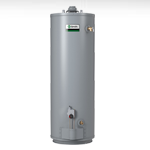 Because hot water is such a major part of our everyday Manhasset lives, we sometimes take the water heater for granted and forget that it must work dependably 24/7 to keep up with our household needs. That is, until it springs a leak or stops heating water! At Thomas Curley Plumbing and Heating, we perform hot water heater repair and installation anywhere in Manhasset to get the problem corrected quickly, effectively and efficiently. There are typically some common warning signs your water heater provides before it goes out and produces no hot water – or leaks. If you observe any of the following issues, it’s time to have Thomas Curley Plumbing and Heating come out and take a look before your family is left without hot water — and to avoid an emergency! • Decreased amount of hot water. If you’re running out of hot water for showers or baths sooner than before, it’s usually the first sign of a hot water heater problem. • Temperature variations. If you find that constant adjustments of the hot and cold water valves are needed to keep a consistent temperature during use, this can also indicate the need for repair or replacement of your hot water heater. • Increased time to regain hot water. This problem is often unnoticed by family members, because once you finish an activity that requires hot water, there’s typically a period of time before more hot water is needed. However, larger households are more apt to notice this problem, as there is more demand for hot water within shorter periods of time. If your water heater is taking an increased amount of time before hot water is available for the next use, this is another indication that something is wrong – and you need to call in a professional. • Water that is discolored or smells bad. Although a less common sign, these are strong indicators that something is wrong with your hot water heater – and immediate attention is required. • Water leak. Any water leakage around the water heater is another sure sign that immediate attention is required. It will only become a larger problem if not addressed right away. Call Thomas Curley Plumbing and Heating today for hot water heater repair and installation in Manhasset! Your Thomas Curley Plumbing and Heating professional will make a thorough examination and explain the issue and your repair options. If replacing your equipment is the most cost-effective solution, our technicians will walk you through the various types of water heaters and the features of each so that you can make the selection that’s right for you. Whatever new hot water system you choose – from conventional to tankless — our experienced plumbers at Curley can install your new water heater in Manhasset. We’ll remove the old unit, perform the professional installation and clean up when we’re finished. Also, remember that regular maintenance of your water heater can prevent future issues. Call Curley today to schedule annual maintenance. Our expert plumbers will make a careful check of your water heater to ensure it’s safe and in good working order. Contact us today!